"The shocking images of neo-Nazis marching in Charlottesville, Virginia, in the summer of 2017 linger, but so do those of the passionate anti-fascist protestors who risked their lives to do the right thing. 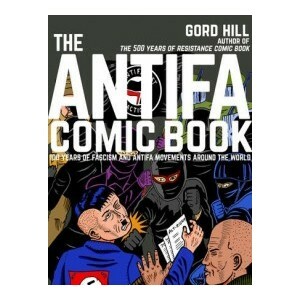 In this stirring graphic non-fiction book by the author of The 500 Years of Resistance Comic Book, Gord Hill looks at the history of fascism over the last 100 years, and the concurrent antifa movements that have worked fastidiously to topple it. Fascism is a relatively new political ideology, yet in its short history some of the greatest atrocities against humanity have been carried out in its name. Its poisonous roots have taken hold in every region of the world, from its beginnings in post-World War I Italy, through Nazi Germany, Franco's Spain, and the KKK in America. And today, emboldened by the American president, fascism is alive and well again. At the same time, antifa activists have proven, throughout history and again today, that the spirit of resistance is alive and well, and necessary. Full-colour throughout. 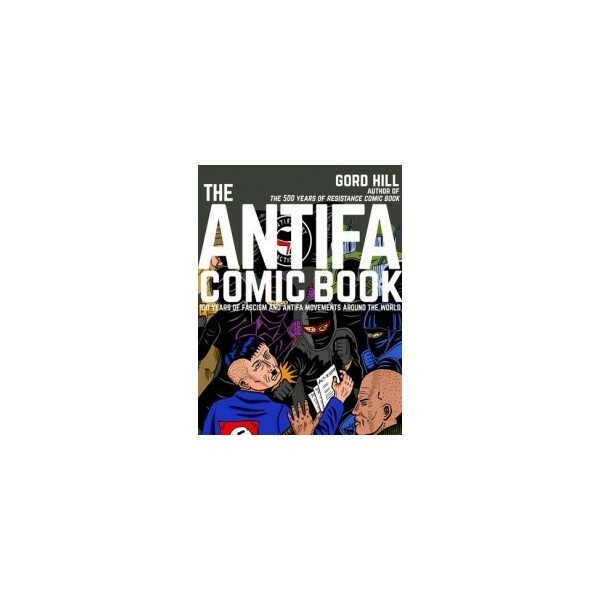 Includes a foreword by Mark Bray, author of Antifa: The Anti-Fascist Handbook." Published by Arsenal Pulp Press, 2018.